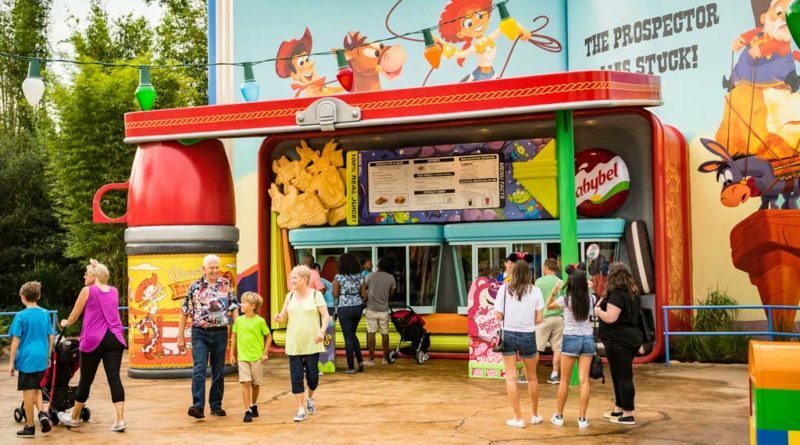 LAKE BUENA VISTA, Fla. (June 28, 2018) – Fun extends to food in the new Toy Story Land opening June 30 at the Walt Disney World Resort. Here, mealtime comes with a heavy helping of nostalgia, as Woody’s Lunch Box serves up classic on-the-go menu items with a creative twist. 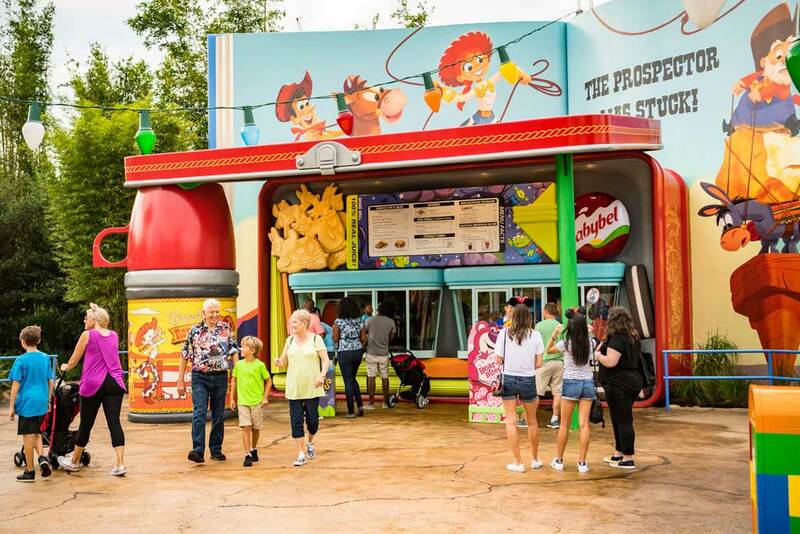 Located in Disney’s Hollywood Studios, the new 11-acre land brings to life all the magic and fun of Pixar Animation Studios’ hit Toy Story films. In this land – inspired by Andy’s backyard – guests are honorary toys and set off for thrills and laughs on three signature attractions. With apologies to Mom, lunch-box cuisine was never like this! Inspired by the classic American campfire treat, this breakfast sandwich oozes goodness in a chocolate ganache- and marshmallow-stuffed French toast topped with graham cracker crumbles. To ensure a soft gooey middle, Disney chefs created a sharp cheddar cream cheese spread, layered in provolone and cheddar and wrapped the sandwich in garlic butter-grilled French bread. With a nod to cowboy Woody, this Texas-style smoked brisket features cheddar, Monterey Jack, pickles, BBQ sauce and garlic butter-grilled sourdough. This bite-sized treat combines potato barrels, corn chips, chili and queso. Smoked Turkey Sandwich – The quintessential lunch-box staple with tomato and lettuce on multigrain bread; to give it a kick, Disney chefs add a creamy Dijonnaise. Banana Split Yogurt Parfait – Layers of banana-vanilla Greek yogurt (with a hint of honey), fresh bananas, strawberries and pineapple topped with granola and chocolate chips make for a delicious way to start the day! Monte Cristo – Woody’s version of this classic sandwich has layers of ham, turkey, Swiss cheese, and raspberry jam, grilled to a golden brown. 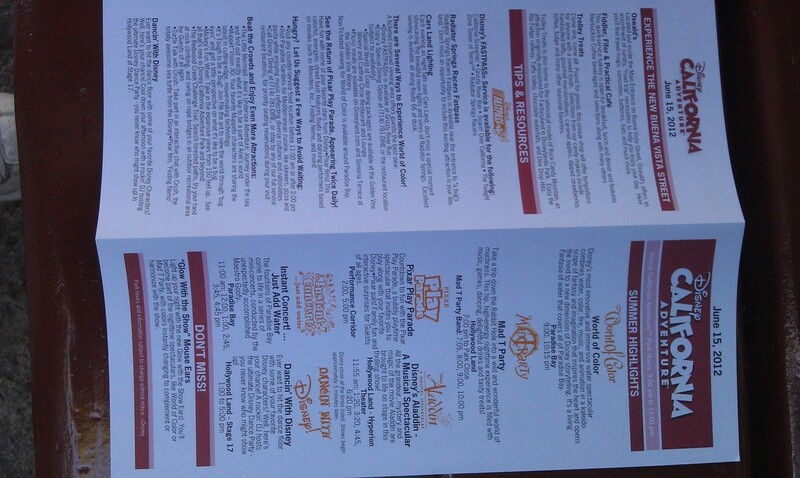 Kids’ Menu – Grilled cheese or turkey sandwich, both with potato barrels and mandarin oranges. Sides – Tomato basil soup, vegetable macaroni salad, potato barrels and Mini Babybel snack cheese, the Official Snack Cheese of Walt Disney World Resort. In addition to fountain drinks and refreshing lemonade, beverage offerings include a classic Barq’s root beer float and a Mystic Portal Punch (PowerAde Mountain Berry Blast with flavors of lemon-lime and tangerine). For the big kids, there’s a Grown Up’s Lemonade with cherry vodka, Odwalla Lemonade, and black cherry purée. 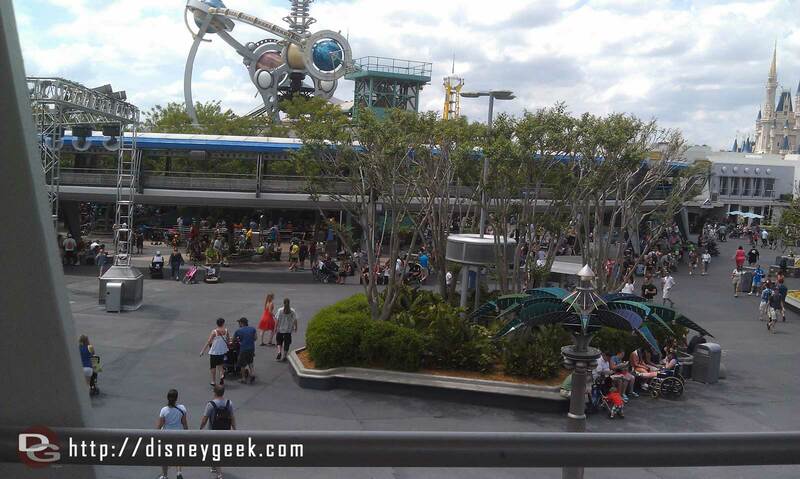 Inside the World of Disney…. 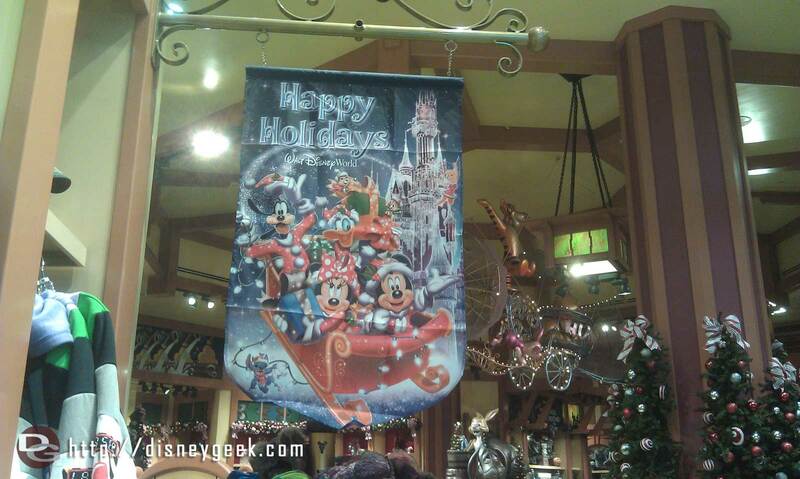 at the Disneyland Resort… why?